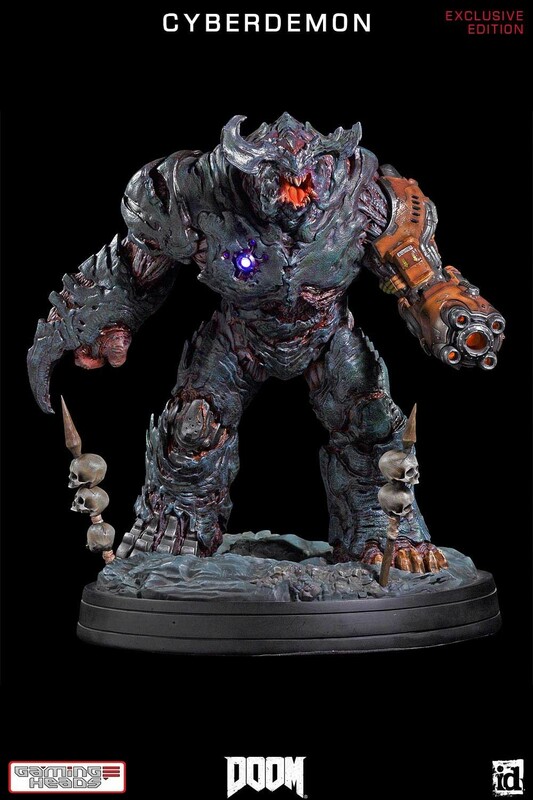 Non Refundable Deposit: $70.00Non-refundable deposit will be charged immediately upon order placement. 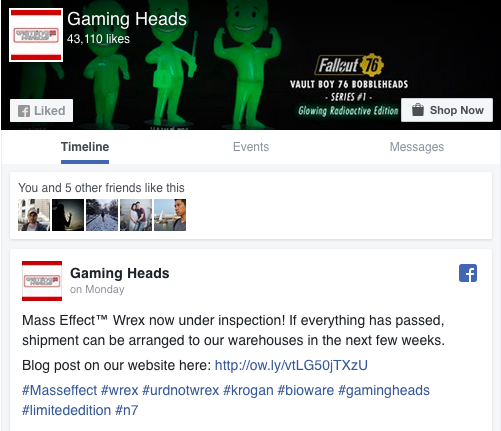 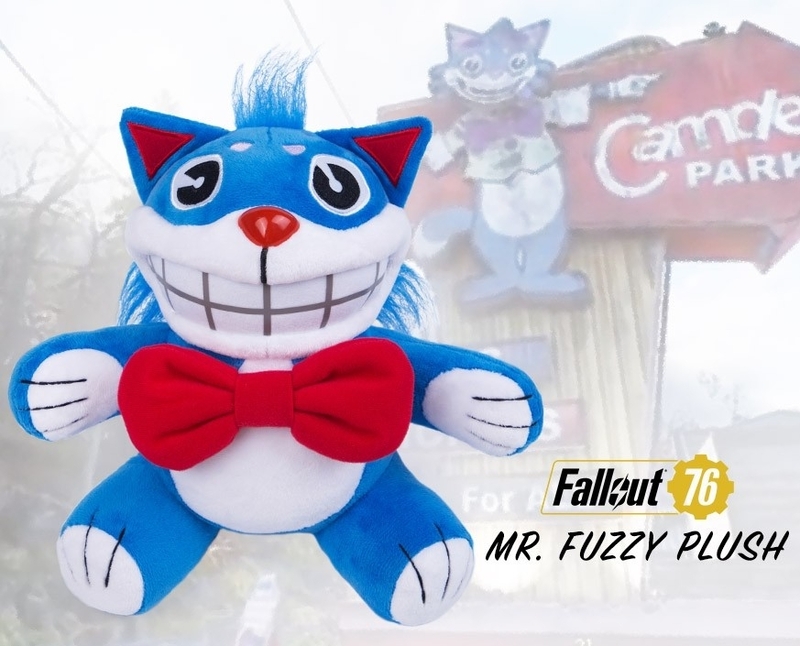 You will earn 700 Credits for purchasing this product. 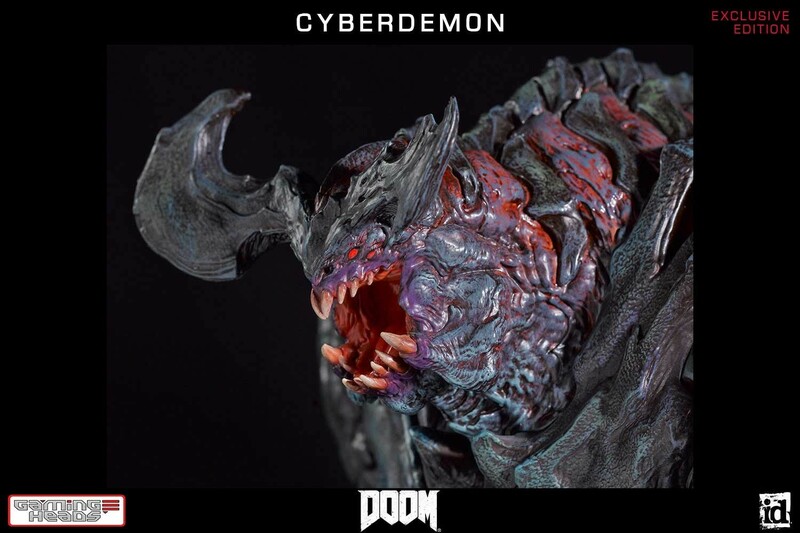 Considered to be the most significant marker of success in the development of Argent-Organic research, the Cyberdemon is the flagship creation of the UAC’s Lazarus Project. 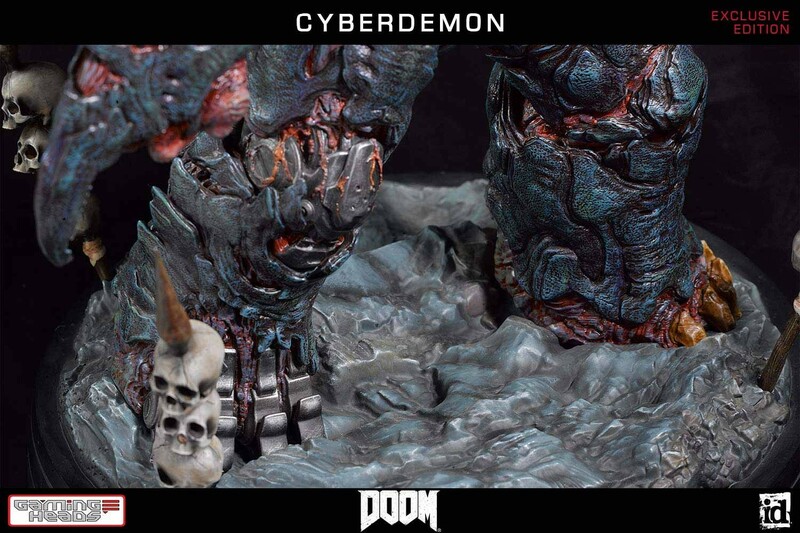 The symbiotic union of a Baalgar demon found during the second Project Lazarus Manned Expedition and an Argent Accumulator, this beast is capable of withstanding so much punishment that the creature must be kept in permanent suspended animation. 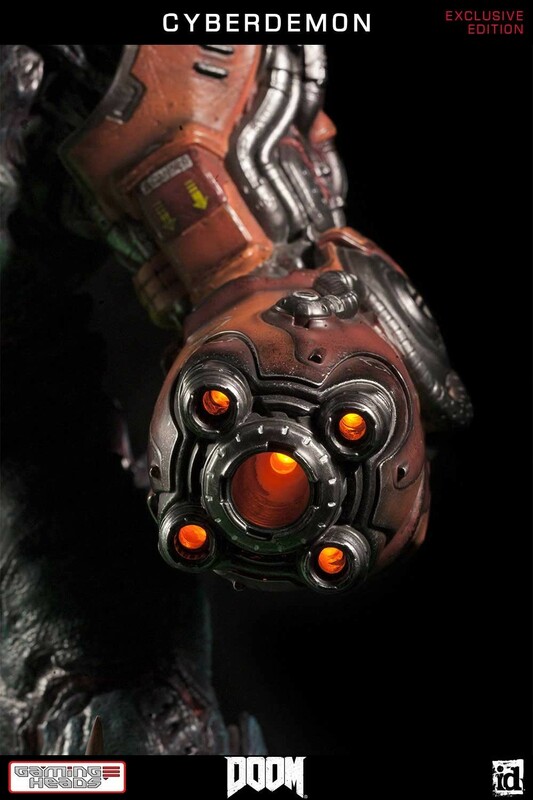 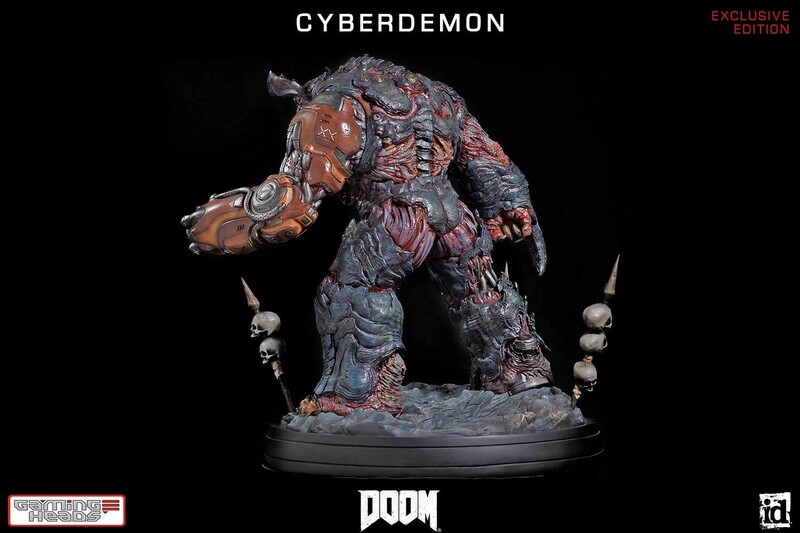 The DOOM®: Cyberdemon Exclusive Edition Statue is carefully cast in polystone resin and hand-painted by artisans in exacting detail. 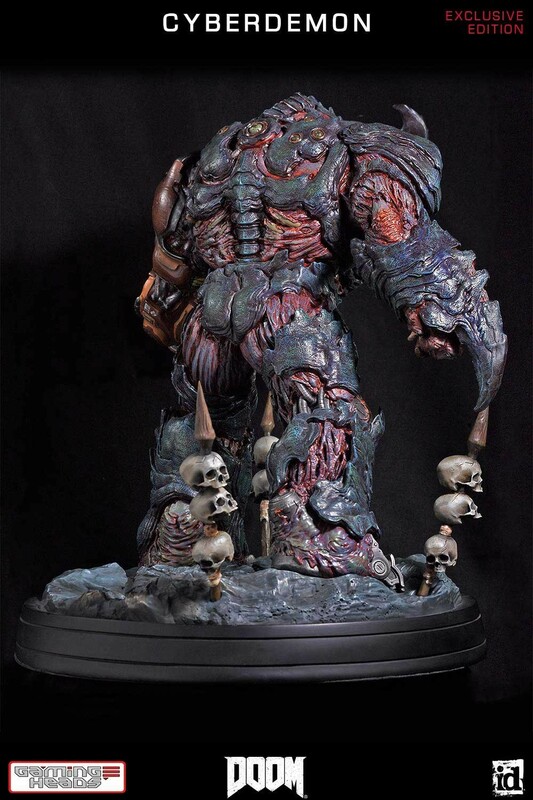 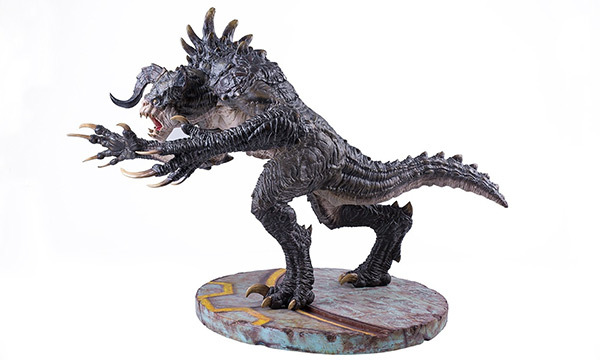 This statue stands approximately 19 inches tall and is also available in a regular edition and an unpainted collective edition. 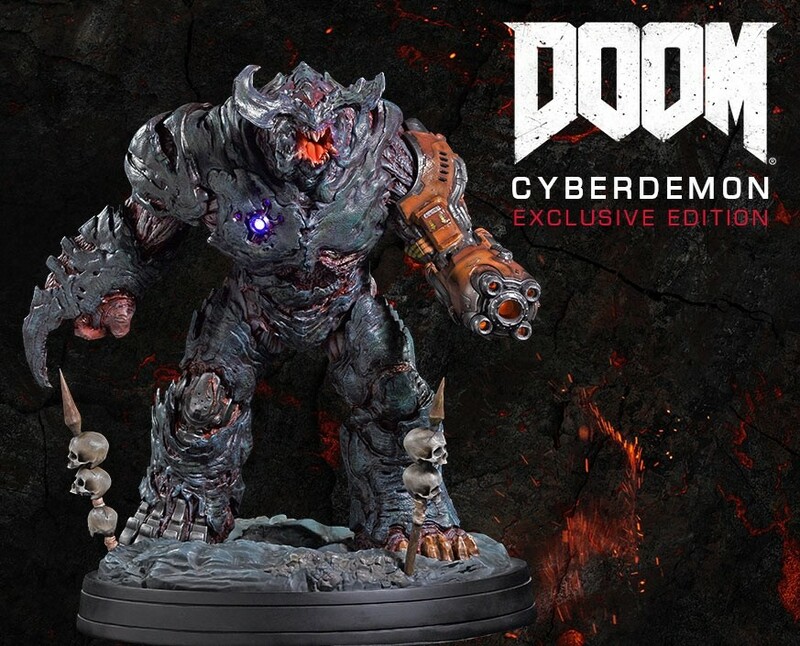 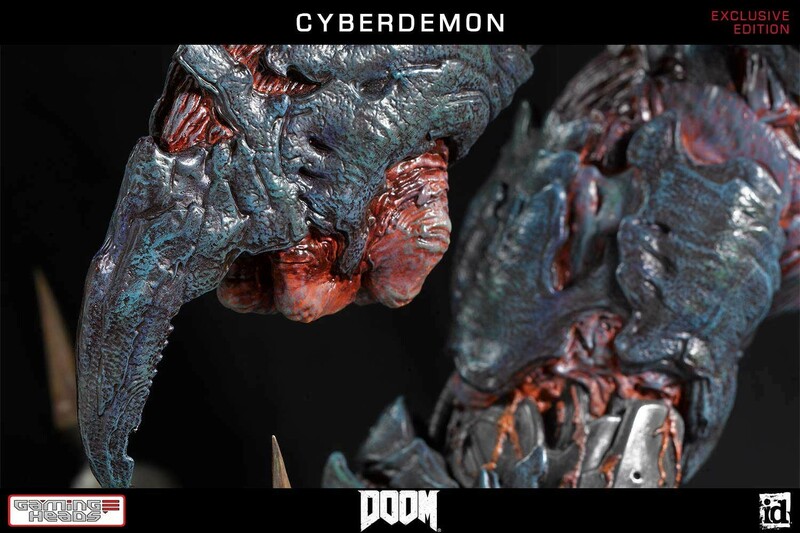 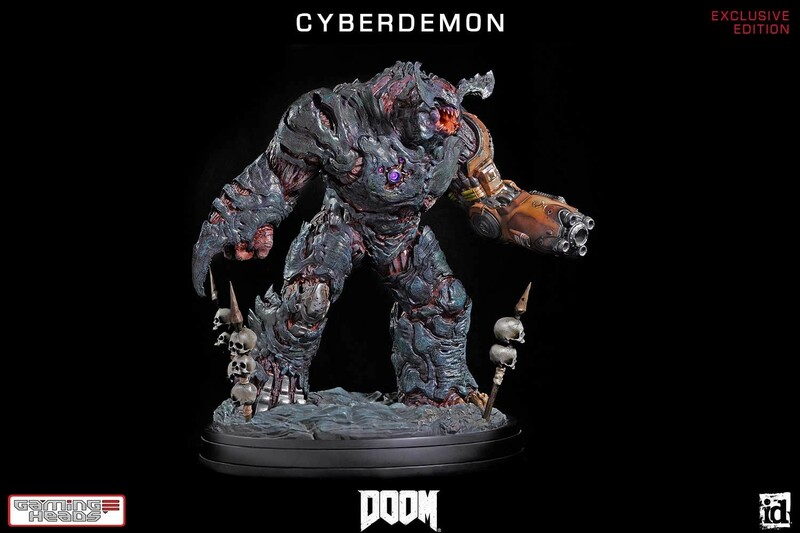 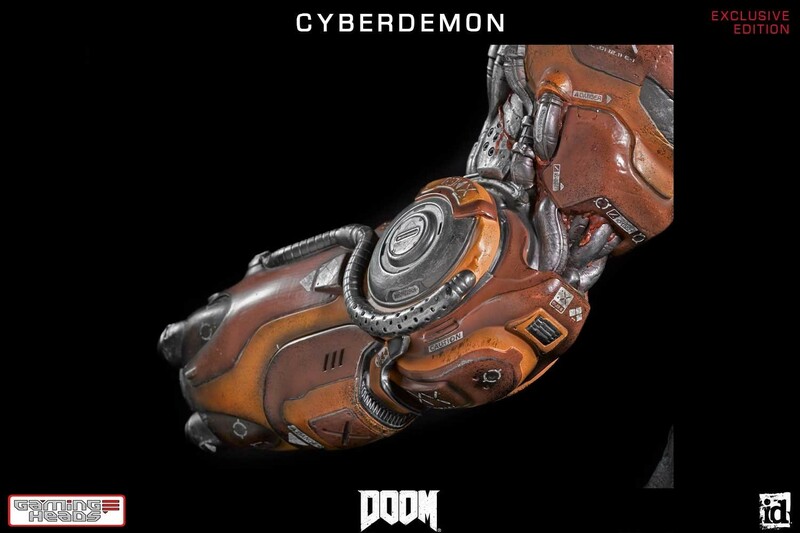 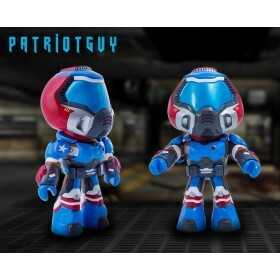 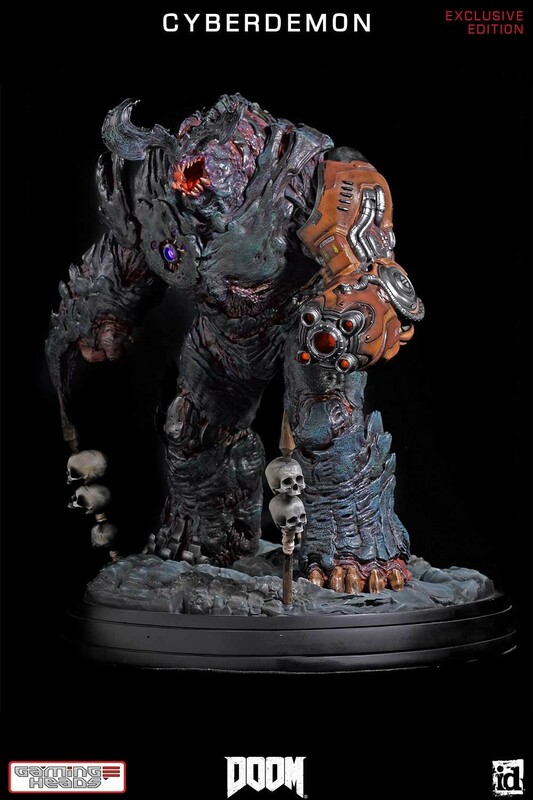 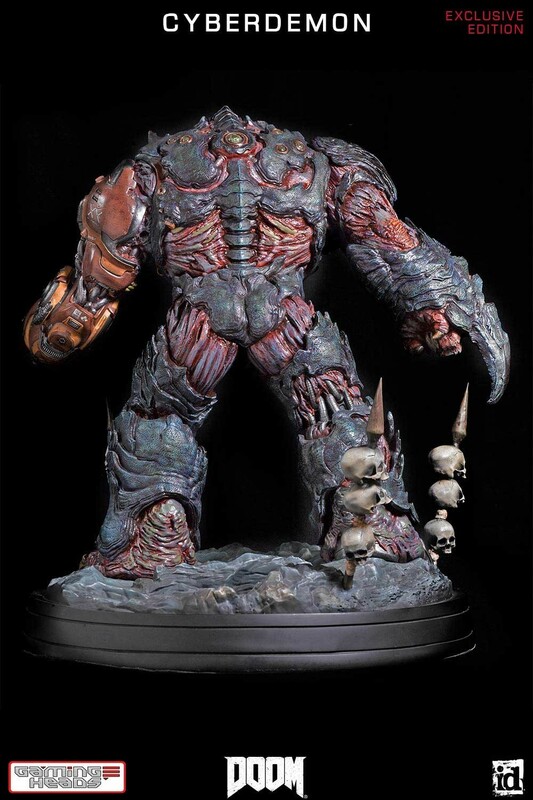 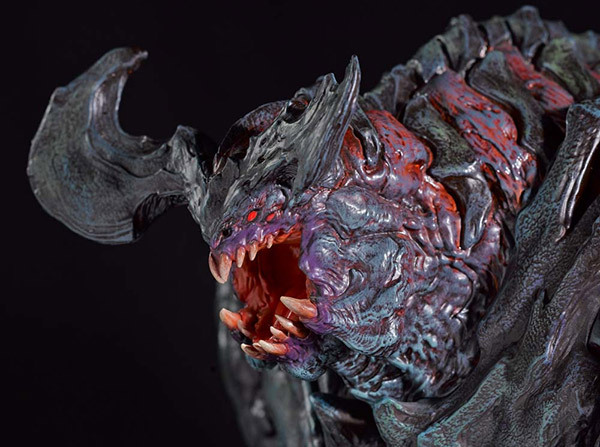 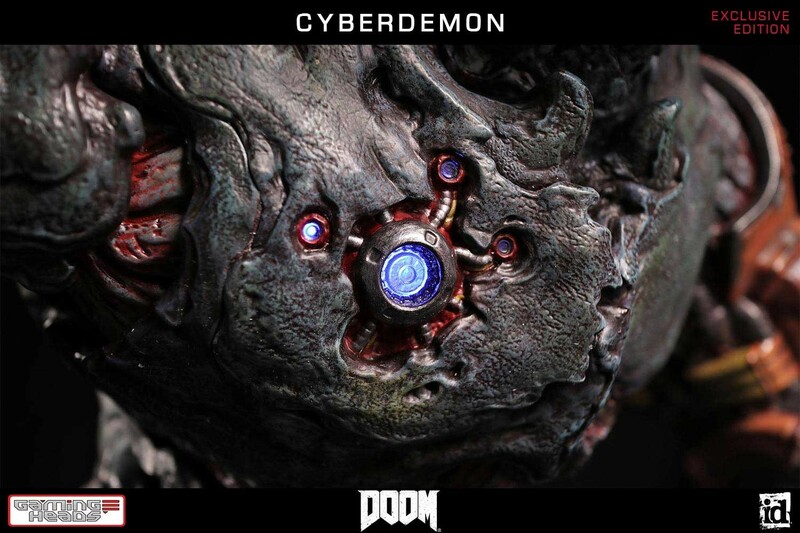 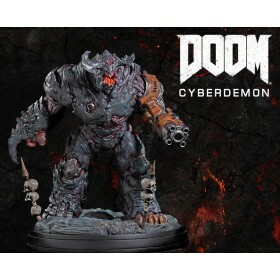 The DOOM®: Cyberdemon Exclusive Edition is only available at GamingHeads.com and limited to 500 pieces worldwide. 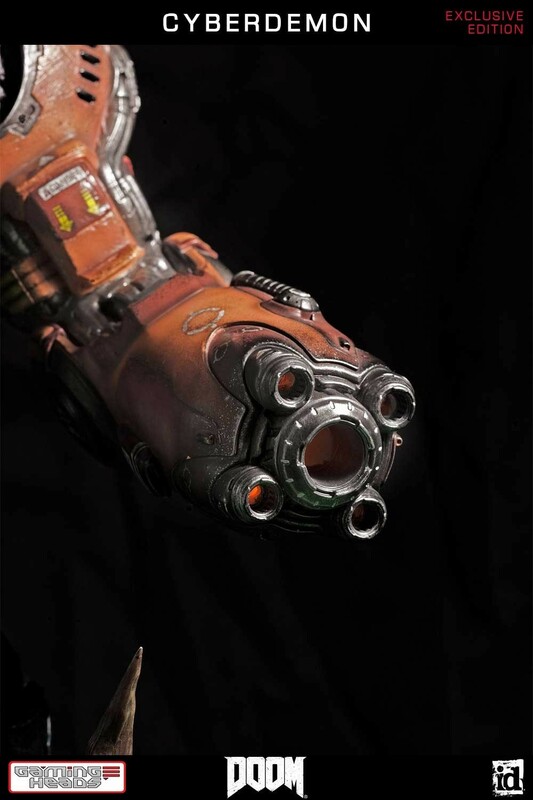 The exclusive edition features a light-up rocket launcher on its left arm and a light-up Argent Accumulator on the right side of its chest. 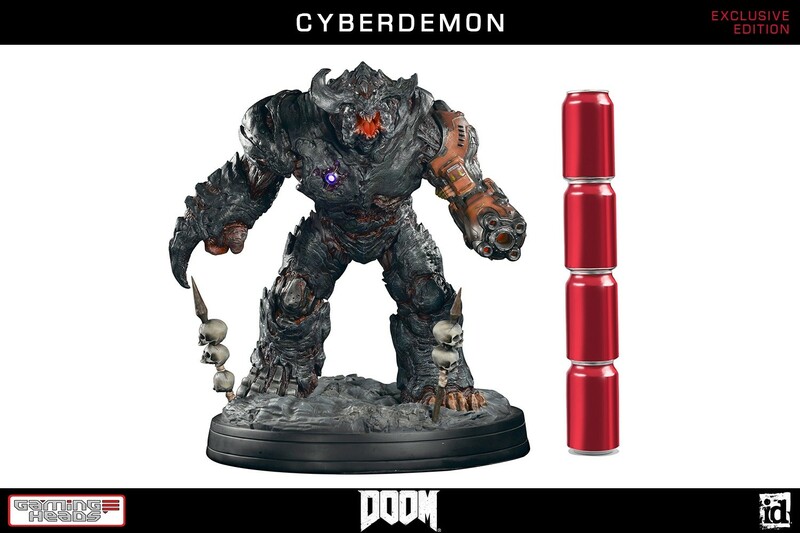 Each DOOM®: Cyberdemon Exclusive Edition Statue comes packed in a deluxe full-color box, has an individually hand-numbered base and a validation card that will allow you to purchase the same product number for previous and future DOOM® statues if you validate your purchase. 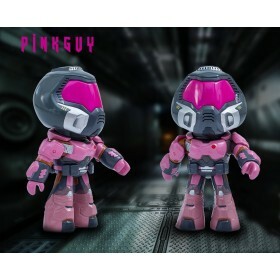 Limited to 2 pieces per account/customer only. 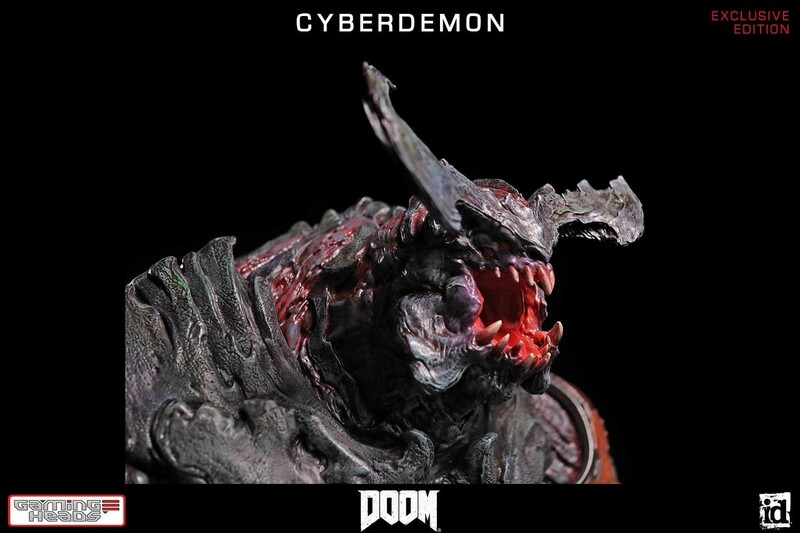 Images shown are representative only, and final product may vary. 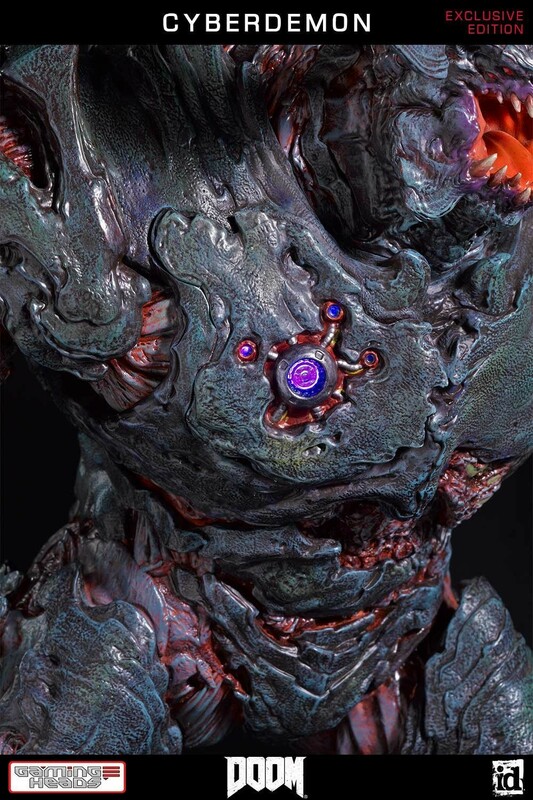 More of Thursday's launch revealed! 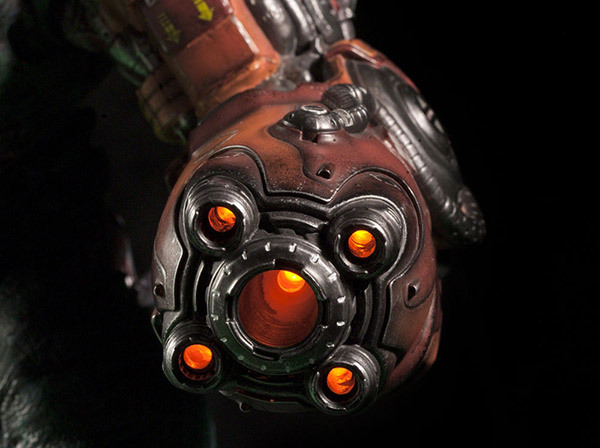 A light up Rocket Launcher you say?